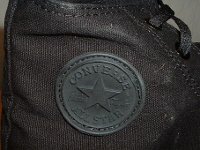 Photo gallery of core monochrome black high top chucks. 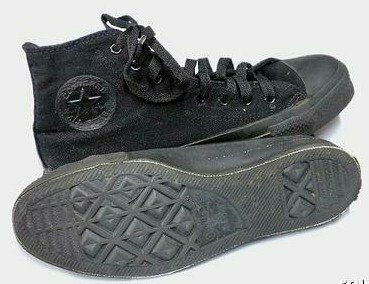 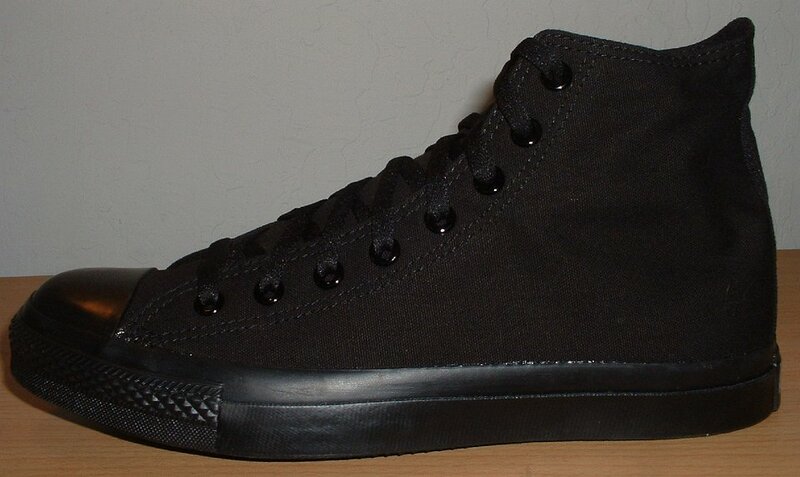 1 Core Monochrome Black High Top Chucks Right black monochrome high top, inside patch view. 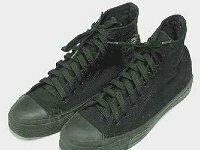 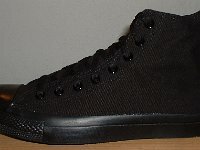 2 Core Monochrome Black High Top Chucks Right black monochrome high top, outside view. 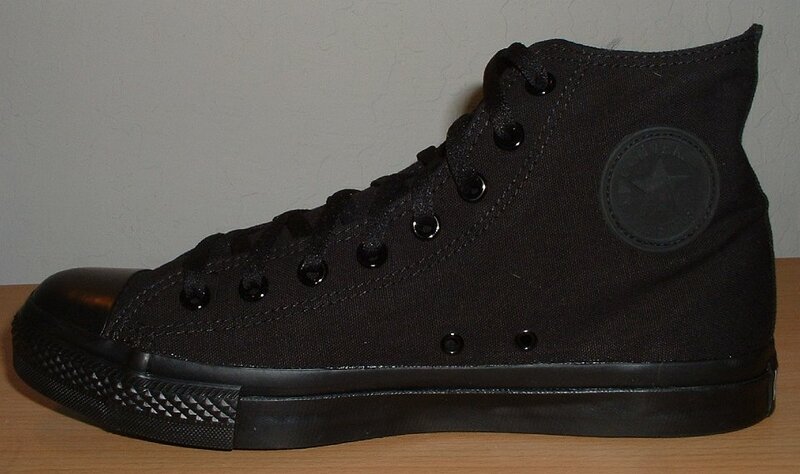 3 Core Monochrome Black High Top Chucks Left black monochrome high top, inside patch view. 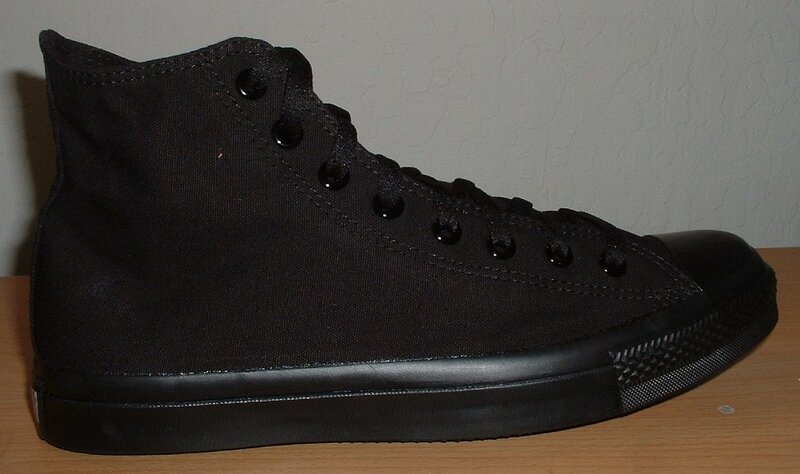 4 Core Monochrome Black High Top Chucks Left monochrome black high top, outside view. 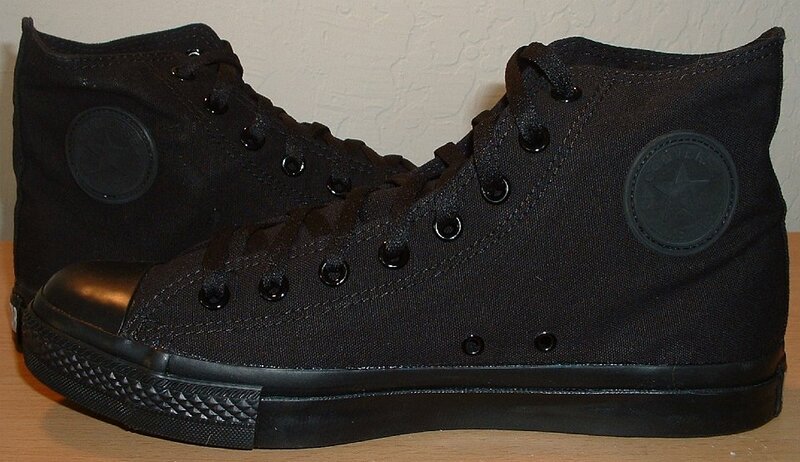 5 Core Monochrome Black High Top Chucks Black monochrome high tops, rear view. 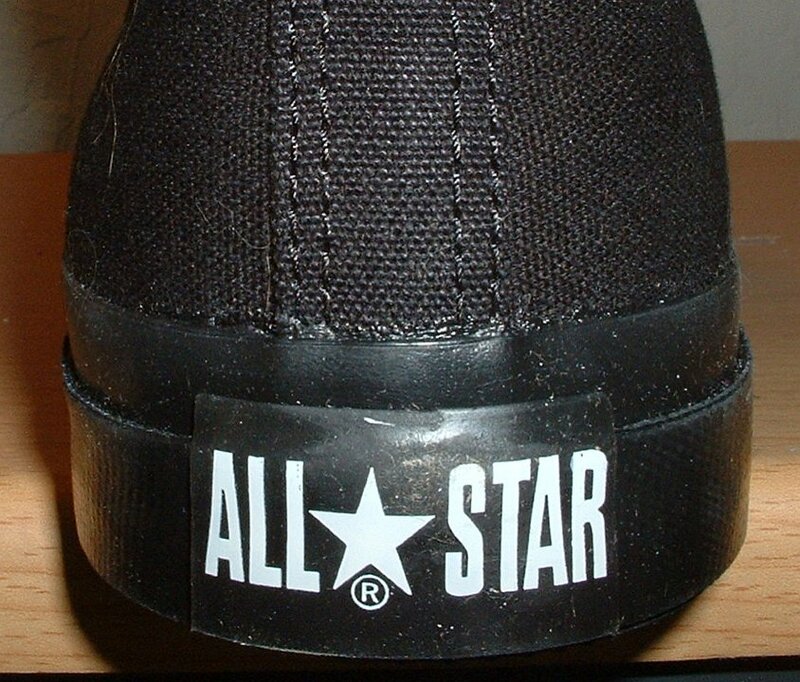 The heel patch has white text instead of embossed black. 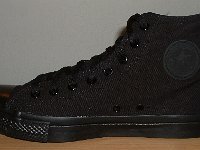 6 Core Monochrome Black High Top Chucks Black monochrome high tops, front view. 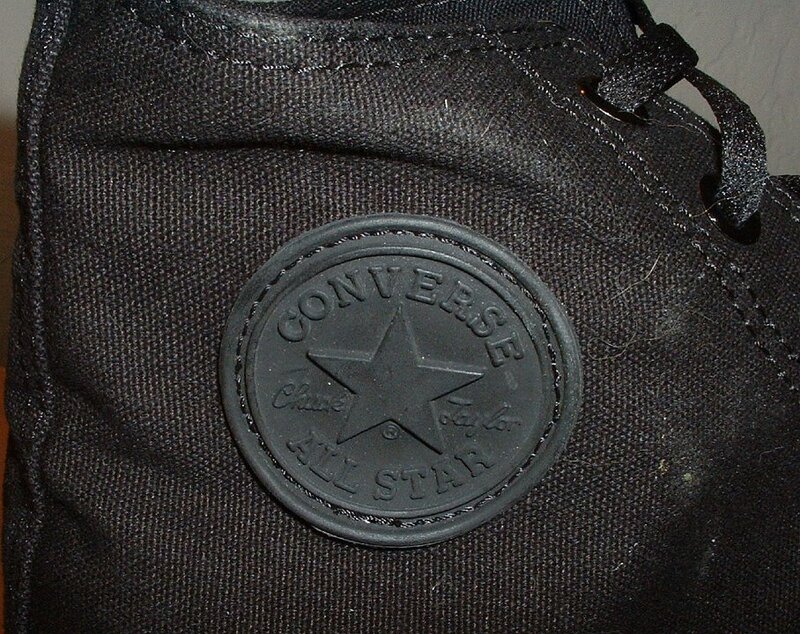 7 Core Monochrome Black High Top Chucks Closeup of the inside patch on a black monochrome high top. 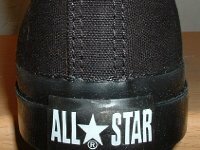 8 Core Monochrome Black High Top Chucks Closeup of the rear All Star logo on a made in China black monochrome high top. 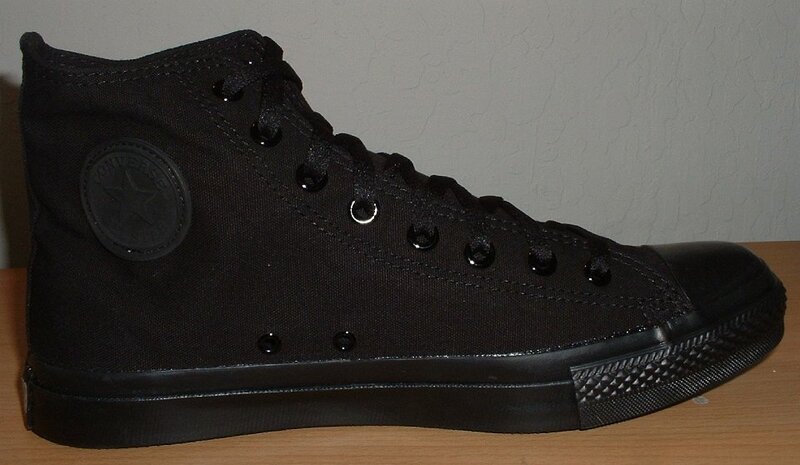 9 Core Monochrome Black High Top Chucks Inside patch views of black monochrome high tops. 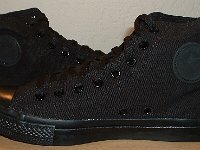 10 Core Monochrome Black ChucksCore Monochrome Black High Top Chucks Inside patch and sole views of black monochrome high tops. 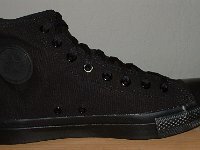 11 Core Monochrome Black ChucksCore Monochrome Black High Top Chucks Angled side view of black monochrome high tops. 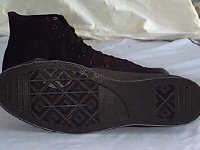 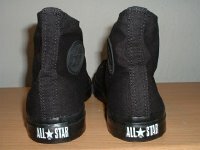 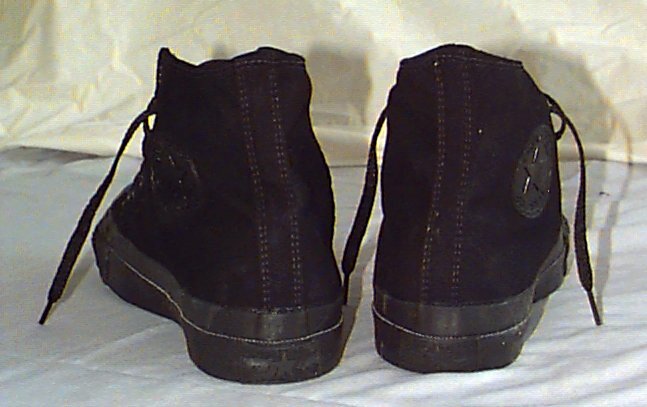 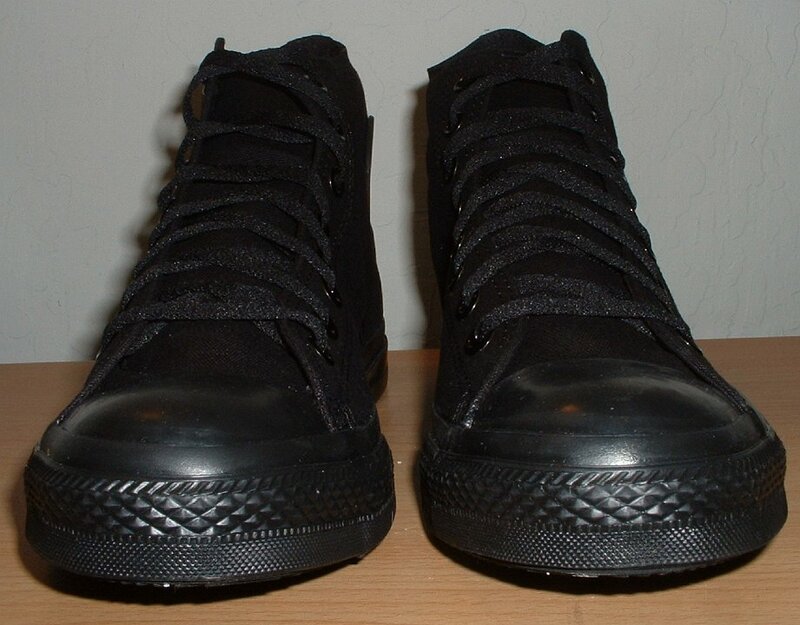 12 Core Monochrome Black High Top Chucks Made in USA lack monochrome high tops, rear view. 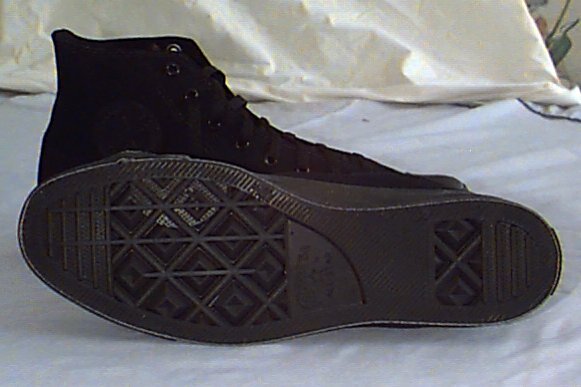 Note that the heel patch is embossed black, like the ankle patch. 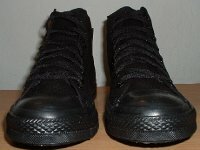 13 Core Monochrome Black High Top Chucks Inside patch and sole views of black monochrome high tops. 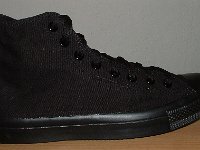 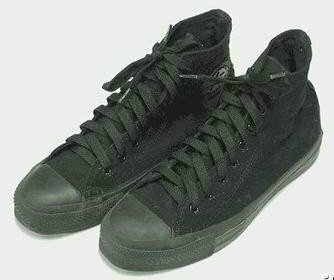 Monochrome black high tops have been made longer than any core model of chucks. 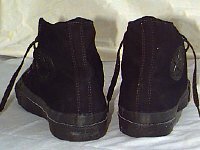 These models were made in the last two decades.